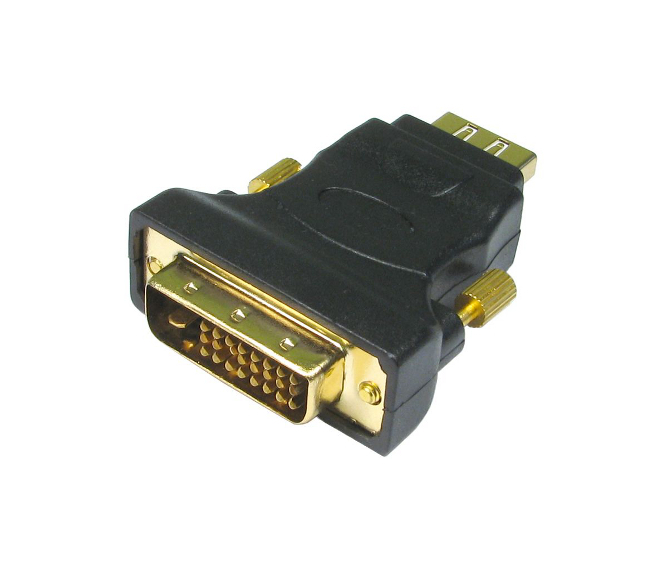 HDMI Female Socket To DVI-D 24+1 Male Plug - HDMI To DVI Cables - DVI Cables & Accessories, Hdmi Cables Same Day Dispatch On Our Leads If You Order Before 2pm Weekdays. This adaptor allow you to plug a hdmi male cable into a DVI-D socket. HDMI socket (female) on one side to DVI-D plug (male) the other side. Currently viewing: HDMI Female Socket To DVI-D 24+1 Male Plug - HDMI To DVI Cables - DVI Cables & Accessories, Hdmi Cables Same Day Dispatch On Our Leads If You Order Before 2pm Weekdays.